Knee replacement is an operation that involves replacing part or all of the joint surfaces of the knee with a new knee called a prosthesis. The prosthesis is made of metal and plastic components which are fixed firmly into the knee after resecting part of the ends of the bone to a specific shape to take the prosthesis. The components are either cemented into place or impacted firmly onto the ends of the bones. 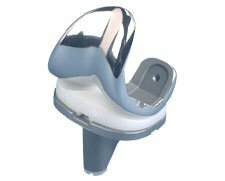 There is a specially designed plastic component that fixes into the knee to complete the procedure. Knee replacements may be either total knee replacements which resurface the entire joint or partial replacements that replace only a specific part of the knee when arthritis is limited to a single compartment. A total knee replacement is the most common type of knee replacement and this is necessary for people whose arthritis affects two or more of the three compartments within the knee. A total knee replacement is only recommended when other more conservative treatments have failed to improve the patient’s symptoms, and when the symptoms remain severe enough to affect quality of life. There are many different designs of total knee replacement and these designs have been improving ever since knee replacements were first tried in the 1970s. Modern knee replacement designs can be expected to last in excess of 15 years and allow excellent recovery of movement with very low wear rates from the new joint surfaces. The knee replacement that I use has an excellent track record and includes a ‘gender specific’ option specially designed for female knees and has specific components for patients with metal allergies. A total knee replacement operation takes between 1 and 2 hours depending upon the specific patient. The operation is usually done under a spinal anaesthetic with sedation so patients are asleep but can also be done under a general anaesthetic. My patients generally remain in hospital for 2-4 days post-operatively and I use an Enhanced Recovery Programme to allow accelerated recovery with a reduction in the risk of complications. This includes a special technique to control post-operative pain which allows many patients to stand on the same day as their operation. Patients will initially use a walking frame whilst in hospital, but quickly progress onto using crutches and learning to walk on stairs again before going home. It is necessary to take painkillers and carry out physiotherapy exercises after the operation. In most cases the original arthritic pain resolves quite quickly post-operatively, but there will be some ongoing discomfort from the operation, which usually lasts between 2 and 3 months. However, most patients are able to return to driving within 6 weeks and are independent with their walking within a few weeks of the operation. The vast majority of patients are very happy with their knee replacements as their mobility, sleep and general quality of life has been greatly improved. In retrospect, most patients feel they get better and better for 12 months or more after knee replacement. Unfortunately, as with any big operation, there are a number of risks and possible complications from the operation. However, it is important to remember that severe complications happen very rarely and the vast majority of patients do not suffer any complication. The following is a list of possible complications and their frequency. Infection (less than 1%) – fortunately infection is rare after knee replacement. Usually when infection does occur it is a superficial infection which improves with simple antibiotics and does not cause an infection of the prosthesis itself. Deep infection which does involve the prosthesis is a serious problem that usually requires another operation. We take precautions against infection by giving intra-venous antibiotics at the time of the knee replacement. Blood clots (less than 2%) – blood clots can affect the veins in your legs, causing a deep vein thrombosis, or your lungs, causing a pulmonary embolus. We take precautions against blood clots by giving either a daily injection or a tablet to reduce the risk of blood clots occurring. If blood clots do occur, then they need treating with longer term anticoagulants. Severe medical problems (less than 0.5%) – it is very rare for patients to have severe medical problems such as heart attacks or strokes and all patients undergo a pre-operative assessment to make sure they are as fit as possible before their operation. Wound healing problems (less than 5%) – occasionally wounds after knee replacement can be slow to heal due to excessive bruising or other medical conditions that can slow down healing. Stiffness (less than 2%) – most patients regain as much or more movement in their knees compared to pre-operatively, but occasionally knee replacements can become very stiff after the operation and require further surgery. Fractures (less than 0.5%) – fortunately fractures around knee replacements are very rare but often require further surgery if they do occur. 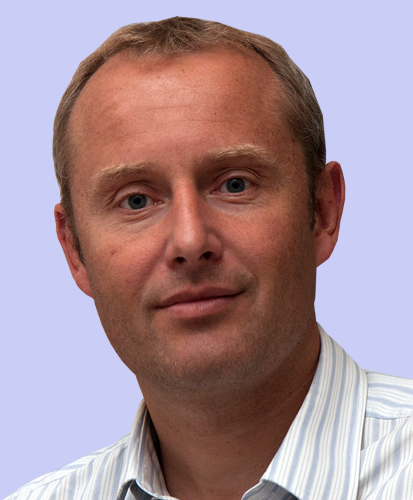 Wear and loosening – modern knee replacements are robust and rarely come loose or wear out. 95% of modern knee replacements can be expected to last over 10 years and 90% over 15 years. Continued pain – a significant number of patients will admit to some ongoing discomfort from their knees after knee replacement but are still happy that their symptoms have improved. It is rare for severe pain to be an ongoing problem. Difficulty kneeling – although this is not a complication, I always warn patients that they may find kneeling uncomfortable after their knee replacement and that they will have a patch of skin that is numb over the outer half of their knee.